As well as being a great place to live and raise children, Bristol offers many fantastic and free places to visit with kids, rain or shine. Here are just 20 ideas of fab, free places to inspire you! Be sure to also check out the Bristol Mum What’s On page for more ideas of what to do today in and near Bristol. Plus, please do give the Bristol Mum facebook page a like to keep up with what’s on in Bristol for kids! Bristol has several wonderful community farms, all of which are free! 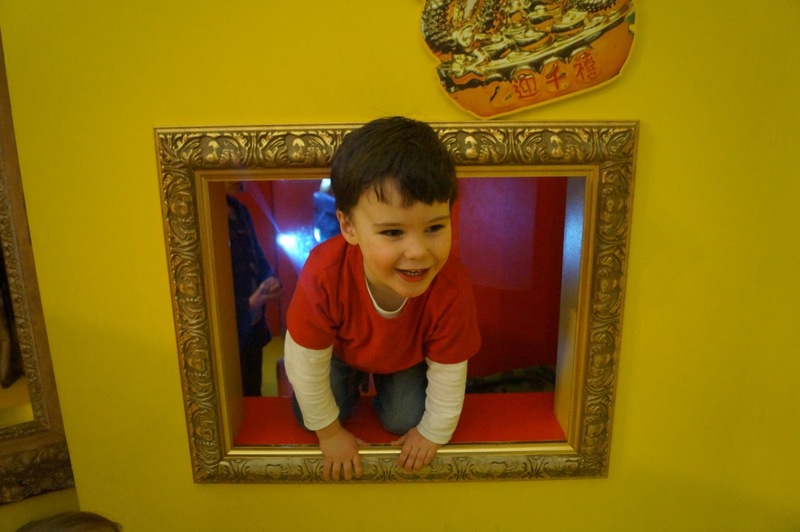 Great for wet days and any other day too, Bristol Museum and Art Gallery is fascinating for both children and adults. Exhibits include a real life Egyptian Mummy, a giant stuffed Gorilla, paintings, a Romany gypsy caravan and much more. 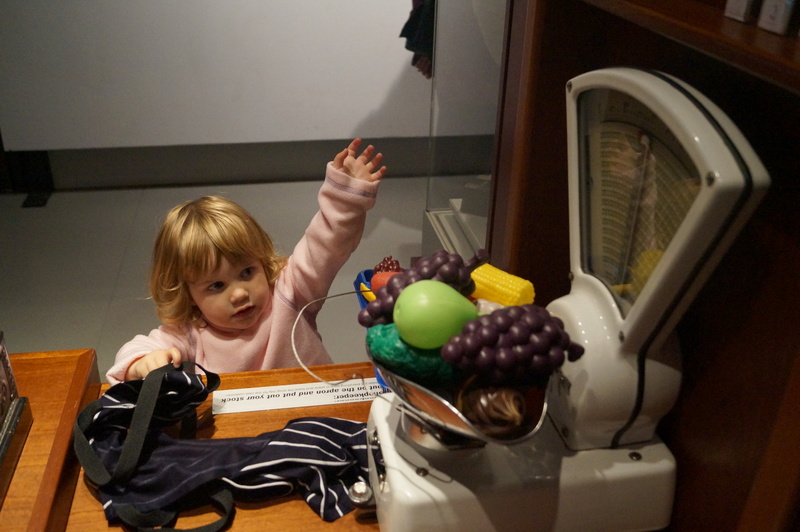 Kids will also love exploring the museum and roaming around the wonderful space that the Museum provides. And for children under 7, there is an enclosed mini art gallery play area called Curiosity which includes its own interactive activities and “exhibits” to play with! Bristol has an amazing history which a walk along Bristol’s Harbour will testify and kids and parents alike will love the many boats, old railway tracks, statues and other sights that it provides. There are also regular boat rides on Bristol Harbour, plus crane and train rides along the harbourside – please see the Bristol Mum What’s On page for upcoming trips. Arnolfini is an international art gallery on Bristol’s Harbourside and is a great space for children to explore and learn about modern art. On the last Saturday of every month, there is also a free family film screening, as well as free arty activities for families. Don’t be put off because Arnos Vale is a cemetery as there is SO much to see and explore in this beautiful 45 acre site. Kids will love roaming Arnos Vale, with its greenery, wild flowers and huge Victorian headstones. There are various trails that you and the kids can take through Arnos Vale depending on the length that you prefer. If you fancy some refreshments, there is a cafe on site. Clifton Suspension Bridge is free to walk along either way and not only offers spectacular views across Bristol, but a fun learning experience for kids. At the Abbots Leigh entrance to the bridge, there is a Visitor Centre where kids can learn about Brunel, the designer of the bridge and includes activities for children such as free drawing activities and a giant puzzle of the bridge, plus my own children’s favourite activity: a Clifton Suspension Bridge Penny Souvenir Machine! A designated nature reserve, Leigh Woods offers wonderful walks for all of the family and a natural play area with logs, swings and balance beams. There are different pathways to take throughout Leigh Woods, varying in length and difficulty. M Shed is a great museum about Bristol and all its places, people and events. It will be a hit with kids and has lots of fun things to see and do, such as interactive activities, an old double-decker bus which you can climb aboard, a bomb shelter and Bristol’s very own dinosaur! Brandon Hill is another great outdoor space great for children and families. There is a small play area especially for young children which includes a toddler swing, climbing frame and sand pit. There is also a play area for older kids with more challenging apparatus, including a brand new climbing frame. At Brandon Hill there is also Cabot Tower, a 105 foot tower which is free to climb and whilst not suitable for younger children, older kids will enjoy a climb to the top. There is also a nature conservation area at Brandon hill so it is altogether a great place to explore! Despite being relatively unknown, Badock’s Wood is lovely. It is estimated to be around 400 years old and includes woodland and areas of meadow which the River Trym runs. It is pushchair friendly and has flat paths and no steps. It offers family-friendly walks plus some magical discoveries along the way! Ashton Court Estate is a great place to take the kids out for some fresh air and exercise. It offers 850 acres of woodlands and grasslands, plus a woodland garden, picnic area, play area and plenty of trees to climb! Durdham Downs is a wonderful area of green space on the north-west side of Bristol, less than two miles from the city centre. A great place to explore and learn about nature throughout the seasons, picnic, fly a kite, play football, plus it is also fantastic for conker hunting in Autumn! Another fantastic green space, Oldbury Court Estate boasts woods, riverside paths, cafe, picnic area and a fantastic new play park designed for children aged 0 – 13 years, with equipment such as toddler swings and a slide for little ones and apparatus such as a zip wire for older kids. You could easily spend a day exploring Blaise Castle Estate as there is so much to see and do. Within the estate’s 650 acre parkland, there is a great kids’ play area, woodland walks, museum which includes a toy collection dating from the 18th to the 20th century, and there is a cafe too. On the estate is also the centuries-old Blaise Castle which you can explore on the third Sunday of every month between April to October! Despite being a busy city, we are lucky to have many nature reserves and community gardens for children and families to enjoy nature at their fingertips. Here is a link to Bristol City Council’s full list of nature reserves. 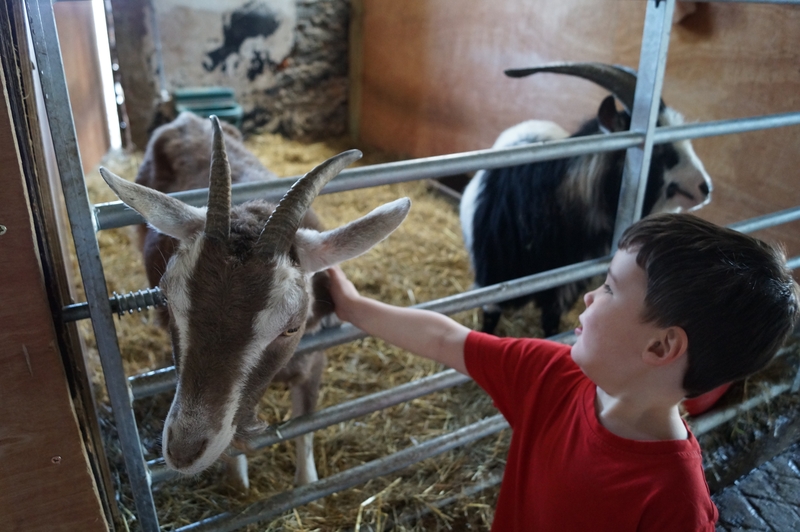 Please also read about our visit to Golden Hill Community Garden and how we discovered bugs, beasties and beauty at the Old Sneed Park Nature Reserve – my kids enjoyed visiting both these nature reserves. At first glance this may not seem like an obvious place to take kids, but don’t be put off! My kids really enjoyed exploring Bristol Cathedral and its high ceilings, stained glass windows, statues and vast, echoey space provided great delight and was unlike anything that they had ever seen before. There is also a reasonably priced cafe within the museum, plus an interesting garden which is perfect to explore. As well as the well-known museums already mentioned above, Bristol also has several smaller museums which are well worth a visit with kids. A great place to take your kids on a sunny day and a wonderful place to picnic, Queens Square is a well-kept, green space surrounded by beautiful Georgian buildings and statues to admire. There are also often events and markets held here. We are very lucky to have the many parks and green spaces that are in Bristol. Some of our personal favourites include Canford Park in Westbury-on-Trym, Oldbury Court play park in Fishponds, Stoke Bishop play park and the new play park on Horfield Common, but take a look at the Bristol City Council website to see the full list of Bristol Parks and estates or for your nearest play park. Bristol Central Library is a great place to introduce your kids to the world of books. It is bright, colourful and spacious and also includes free drawing activities and a huge pirate ship for kids to sit inside or steer!